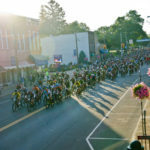 Racers from across the fruited plains gathered in Loudonville located in North Central Ohio on June 3 at 7am. Prior to the start of the race, Pastor Robert Patterson of the New Hope Community Church offered a prayer for the safety of racers. New Hope Community Church was presented with a check to help launch a mentoring program designed to help lift local Loudonville area residents out of poverty. Following the singing of the national anthem before the Loudonville war memorial in the town square where the race officially begins, and with sirens wailing, The Mohican 100 released 600+ racers out of Loudonville, up Maple Heights, and along some of the most popular single track trails Ohio has to offer on a grand single loop, 100 mile and 100k, that spans three of the four counties that make up what is locally known as “Mohican Country”. 2017 Mohican offered a cash purse of over $11,000, the largest single day cash purse in the NUE Race Series. Mere blocks off the start of the race, a rider attempted an ill-advised pass, catching the handlebar of anther racer, going down onto the pavement, suffering a broken collar bone, abrasions to the face, and forcing both riders to drop out of the race. Both injured racers were taken for medical treatment but returned to enjoy post-race festivities at the finish line. Jason Blodget, KTM Factory Racing, was the first racer to crest at the city limits before going on to finish second in the 100k Men’s Open. Blodget was awarded an additional $200 cash prime courtesy of the Loudonville Visitors Bureau. As occasionally happens at Mohican throughout its fifteen year history, a course arrow sign was stolen before being reported and replaced by Mohican course proofers. In addition to signs, racers are instructed to pay close attention to orange confidence ribbons and large painted bright orange arrows on pavement sections for added direction in case signs are stolen. About 25 miles in, a stolen sign located just before a left turn onto a bridge resulted in a pack of race leaders, along with several others, who missed the left turn when they failed to notice, and consequently rolled right over, three large bright orange painted arrows on the paved road located well before and near the left turn. This would result in several lead changes. Making her NUE debut in the Marathon series this year, Linda Shin, Black Smith Cycles, last year’s Mohican 100 mile winner, took the women’s Open 100k with a time of 5:37:22. 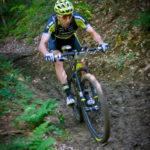 Shin finished in sixth place overall last year in the 2016 Epic 100 Mile Series. 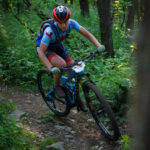 Coming off her first NUE Series win at the Cohutta 100k, OMBC Race Series Champion, Jen Toops, Paradise Garage, finished second with a time of 5:43:27. 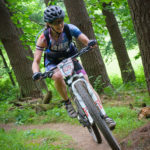 “Mohican 100k is one of my favorite races because it is local and so many of our friends are there. The start of the race was fast and I immediately heard a crash somewhere behind me putting me on edge. 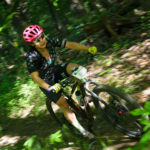 I was third going into the singletrack for 100k women. The group I was with was slower than I wanted and even came to a stop at several points. Linda and I rode together trying to work our way up to the front. We eventually got around the slower traffic right before the covered bridge and ended up passing the leader, Sally Price soon after. Linda and I stayed together until aid station 2 and then I had leg cramps set in. I backed off a little bit and tried to eat/drink and power through the cramps but ended up losing sight of Linda. Finishing out top 3 in the Women’s Open was 2016 Mohican 100k Race Winner, Sally price, Velofemme, with a time of 5:49:07. With just a minute separating first and second, Dillman takes the win and sets a new 100k course record! After placing second at Big Frog 65 a few weeks ago, Andrew Dillman, Think Green, earned a narrow win and a course record with a time of 4:27:04. The previous course record was set in 2012 by OMBC Ohio Series Champion, Steve Twinning at 4:29:00. Jason Blodgett, KTM Factory Racing, came in just over a minute behind Dillman with a time of 4:28:29. 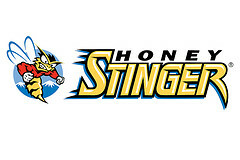 Blodgett also was the first racer to crest the city limits out of Loudonville at Maple Heights, earning him a cool $200 prime form the Loudonville Visitors and Convention Bureau. OMBC Ohio Series Defending Champion and last year’s 100k race winner, Andrew Purcell, Wooster Bikewerks/Y-Not Cyling, was three minutes behind Blodgett to secure third place with a time of 4:32:32. Purcell’s knowledge of the trail and speed put him in the early lead through the 20+ miles of early singletrack. 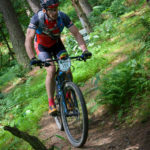 “What a race it was this year at the Mohican 100k. I am a Mohican native so I know the opening trails very well. I knew that if I set a very fast pace at the beginning of the race it would split the field up quickly. I led the race through aid station one. However, shortly after aid one, I clipped a tree with my handlebars and was slammed to the ground taking me out of the lead. I quickly got up and had to straighten my handlebars out. 2016 Mohican SS 100 mile race winner, Donald Powers, UPMC Pro bikes, crushed the 100k SS field finishing 5:03:46. “2017 was the ninth consecutive year I have lined up for either the Mohican 100 mile or 100K race, on top of that I have done the OMBC Mohican XC race another five times. I am very familiar with the trails and course. As I have done the last several years, I ran my Mohican gear of choice 34X20. It provides a good balance between spinning speed and the ability to clear the short steep pitches that Mohican throws your way. After winning the 100 mile SS race in 2016, I decided to go back to racing the 100K. In my mind, it is the perfect mix of trail and gravel road. The long paved road start at Mohican is every Singlespeeder’s worst nightmare. After the initial climb it is way too fast for most of us to hold on to the lead group. 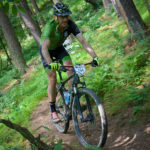 I was able to go into the woods fairly far up, third Singlespeed into the woods with the only two in front of me being 100 mile racers. Scott Williams, Dirt Rag Magazine, came in second place with a time of 5:31:08. Williams placed second in the NUE SS Marathon Series in 2016. 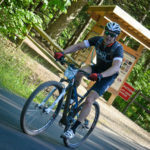 “The NUE Mohican 100 is one of my favorite races and is always a difficult one to omit from the calendar. 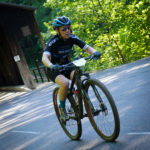 With the month of May booked solid with our own, Dirt Rag Dirt Fest Pennsylvania and then heading straight into the Trans-Sylvania Epic (TSE) 5-day Stage Race, I really was not sure I would have any energy left for Mohican. However, once returning from TSE I knew there was no way I could miss it and scooped myself up a 100k SS entry. I switched my gearing over to the trusty ol’ 34×20 and loaded the car up for a fun filled weekend with awesome friends, cold beverages and incredible trails. At the end of the day, I would find myself on the second block for the 100k single speed podium next to a bunch of winners. I will be doing the Breck Epic this year but, other than that, my only plan is to ride bikes and have fun this year. Just over a minute back, Aaron Shelmire, NovaCare p/b JMac Cycling, secured third place with a time of 5:32:23. “Coming into the race I knew the loud and proud Dahn Pahrs, a constant megaphone in my ear since we started riding and racing together ten years ago, had switched to the 100km race after rail trail of despair nightmares. Other attendees of Pittsburgh’s weekly North Park hammer ride were Tim Mould and Scott Williams in the 100km race. Scott’s mustache provided too much wind resistance in the 6 hours of Brady’s Run a few weeks ago, but, after his week of “not-trying” at the Transylvania Epic, I knew he’d be a contender. The trusty 32×19 workhorse I’ve ridden in the Mohican 100km races I’ve done since 2012 and the Big Frog 65 last year, was nearly the same as their 34x20s. I rode much of the first twenty miles in second place to Dahn. Then, shortly after aid station 1, I looked up from putting a bottle back in the cage just in time to kiss a tree, cracking the aero vent on the front of my helmet and breaking my nose. I brushed myself off, and vanquished that challenge ready to take on the next obstacle. A few miles later, I saw a rider standing on the side of the trail asking for a CO2 or a pump. In need of some good trail karma, I threw caution to the wind giving him my spare CO2, and never encountered the typical mechanical difficulty of endurance racing. At the end of the singletrack, I followed the venerable Roger Masse up a bonus road climb, only to come backtrack six minutes later to where we missed the familiar left turn across the bridge, marked with spray paint on the pavement (note to self: download the .gpx file next year, even if you’ve ridden the course five times). Necessary wrong-turn endurance-race checkbox: checked. With that obstacle vanquished, I had conquered all three necessary endurance racing phantoms: the crash, the mechanical difficulty, and the missed turn. Cozza earns back to back wins at Mohican! 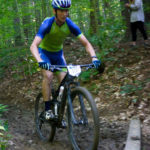 Defending Mohican Race Winner, Craig Cozza, UPMC Cycling Performance/Pro Bikes, earned his second straight win at Mohican with a time of 5:02:23, a shade over last year’s winning time of 4:58:09, the only sub five posted by a Masters racer. 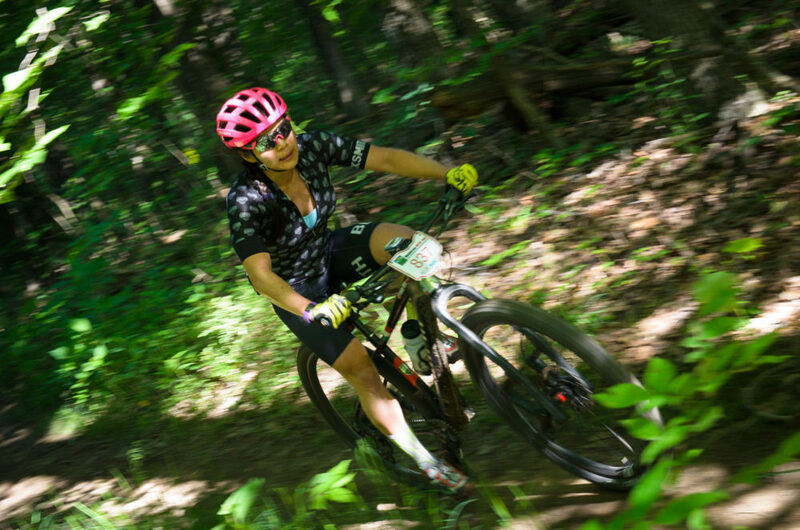 “This was my first time racing the Mohican so it was a race full of lessons learned for me. I arrived a couple of days early from Maine to get myself established and check out some of the course. I was able to pre-ride much of the State Forest single track which was awesome and quickly learned that Ohio is not flat! There are generous amounts of climbing out there. Race day started a little chilly, just below 50 F, but promised to reach 80 F so the right layers were key. The starting line was amazing with the hundreds of racers converging as I began to realize the size of the pack. I actually had no idea of the first few miles of the course so I was surprised to find the steep wall at the end of town. In the lead up I rode defensive so as not to get taken out in the first mile of a race I travelled half-way across the country to race in. I went hard in the first few miles so as to get a good spot once we hit single-track but apparently not hard enough because I soon found myself stuck behind twenty or more riders in the woods. We moved at a painful casual group pace for what seemed like an eternity with little opportunity to pass. Eventually, things did break up and the pack spread out. By the covered bridge things were fairly well sorted out pack-wise. 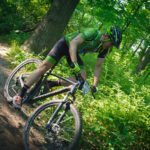 The Mohican Forest trail was just a blast to ride, non-technical, fast and flowy. I did fall victim to the water bars (on the horse trail) however, being taken down by the last one into a muddy pit but that was the extent of water and hazard. For the most part, the course was otherwise point and shoot. Moving out onto the dirt and pavement allowed for some speed work where I found myself sometimes with others and sometimes alone. I did manage to take a couple wrong turns but quickly corrected the errors losing maybe five minutes. The heat really turned up as we approached noon and after I left aid station 3. The aid stations were like a NASCAR Pit Crew, amazingly well run and efficient; the best I have ever encountered! As I made my way back into the park past Aid Station 5, I knew I was close, all alone with no one in sight behind or in front so it was a race against me. I managed to stave off cramping up until this last section but it started to rear its head in the last five miles. I just kept the pace even and steady and worked my way back to the campground which was a fabulous site to behold! Overall a fantastic race experience; well done! 2015 Mohican 100k Masters winner, Robert Goetz took third place with a time of 5:32:32, an improvement from his 2015 winning time of 5:46:11 but not quite as fast as his 2016 time of 5:20:41 that had him second only to Cozza. At age 75 and looking dapper at the finish line, Mike Deitlin, raised the bar on the age barrier, setting a new record as the only 70-79 racer to finish the 100k. Dietlin’s sub nine finish was at 8:50:13. In 2014, at the age of 72, Dietlin set the record as the oldest 100 mile race finisher with a time of 13:16:09. 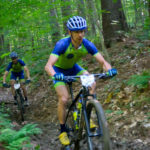 On June 17, The NUE Race Series features a double header with races in both Colorado and Michigan. 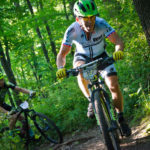 NUE Epic 100 Mile Race Series #4: The (now sold out) Lumberjack 100 features a three lap all singletrack race in the Manistee Forest. This entry was posted in News, Ultra Endurance and tagged 100k, 2017, mohican 100, NUE, nue race results by Shannon Boffeli. Bookmark the permalink.